Written with great assistance from my mother. 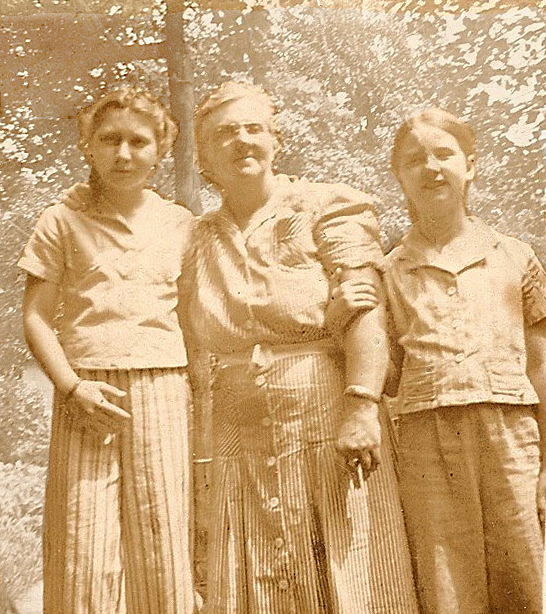 Mabel Parsons was 14 years old when she helped care for her sick Aunt Tracie. After sleeping over for a few days, it was time to head home, so the young woman with the long, dark hair set out on foot. In 1903 Mifflin County roads were unpaved and cars were few. Walking long distances was commonplace for Mabel, but this evening she would encounter something entirely outside the norm. The sun was low in the western sky as she walked along a lonely stretch of road. Suddenly a small, white dog appeared before her. Mabel loved animals, but there was something unnerving about this one. The little pooch silently stood in her path watching her. She tried to walk around it, but the dog moved in front of her. 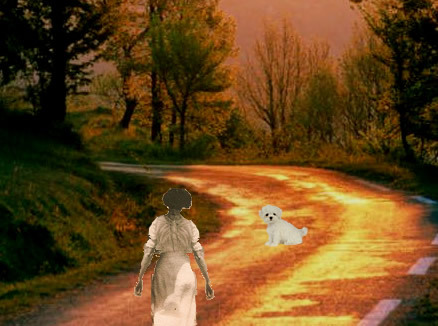 Mabel crossed to the other side of the road, but again the little dog blocked her way. He would not let her pass. This went on for some time, and the sun was starting to set. Mabel had not brought a lantern along, as she expected to be home by dark. Travelling by night would be impossible with no street lights to guide her, so she felt compelled to turn back to her Aunt's house. She was entirely unprepared for what she found when she returned. Her Aunt Tracie had just passed away. Mabel Parsons accomplished a great deal in her young life. She excelled in high school and graduated at 15. After earning a teaching certificate at Juniata College, she traveled by horseback to teach school at age 16. But she felt her real calling was in nursing, and so at age 17 she went into nurses' training at Lewistown Hospital. It was a long horseback ride from her home in Sandominia (near the current Lewistown Country Club), so she often stayed with relatives nearer the hospital. It was during one of these stays at Aunt Mary's house that Mabel witnessed a terrifying sight. Awakened by a thunderous noise, she shot upright in bed to see a ball of fire roll across the room, then vanish as quickly as it appeared! 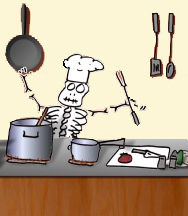 Some years later, she was sleeping in the same house and awoke to the sound of silverware jangling in the kitchen. The next morning she asked her Aunt Mary if Uncle Frank had been cooking late last night. Aunt Mary replied that Harry hadn't come home last night; he had stopped over with a friend for the night. Mabel would hear the same mysterious sounds several more times during her stays with Aunt Mary. Many years later the house was torn down, and human bones were found buried in the cellar. Mabel Parsons married Merel Dillman and bore ten children. 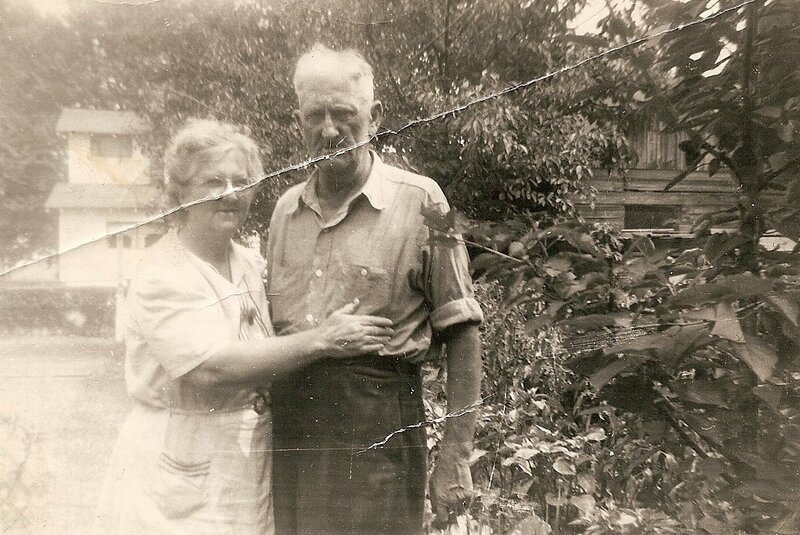 Their home washed down the Juniata River in the '36 flood, and the family scattered to several temporary habitats. Finally they rented a large, old house with room for everyone. It was on West Hale Street, an area known as "Hollywood" in those days. For a year or two, most of the family would be together until marriage and World War II pulled them apart. Mabel, Merel, and seven of their children shared the home. The youngest two of the brood were Nevada Jane, age 8, and Phyllis, 10, who were playmates, rivals, roommates, and often sparring partners. Little Jane did not like the house from the start. There was something very creepy about it. A closed stairway led to four large bedrooms on the second floor. It was the stairway door that bothered Jane because it separated the upstairs from the rest of the house. Jane and Phyllis shared the bedroom with the only closet. Far from being appreciated, the closet was a fearsome thing to young Jane from the first moment she looked inside. There was an attic hatch in the ceiling of the closet, but it was jammed shut. Nobody ever used the closet. The girls got to know the neighborhood kids in a couple of days and soon learned the horrifying story of the attic - someone had died up there, and the body was never brought down! When Jane and Phyllis told their parents the story, they laughed it off as nonsense. But they could never fully discredit it to the girls' satisfaction, since the hatch was jammed and they could not risk damaging it. Phyllis never admitted to being scared, but Jane dreaded the second floor and especially the bedroom closet. After living in fear for two years, something happened that ramped-up the terror even further. One day Jane was outside playing "hidee-go-seek" with her friends, Evelyn and Eleanor. They happened upon a neighbor's open garage door, and glancing inside, their giggles turned to shrieks. They had discovered the body of their neighbor, Mr. Brown (name changed), hanging from a ceiling joist by a rope tied around his neck. His eyes were bulging, his mouth agape, and his skin gray. It was an image the girls would never expunge from their memories. 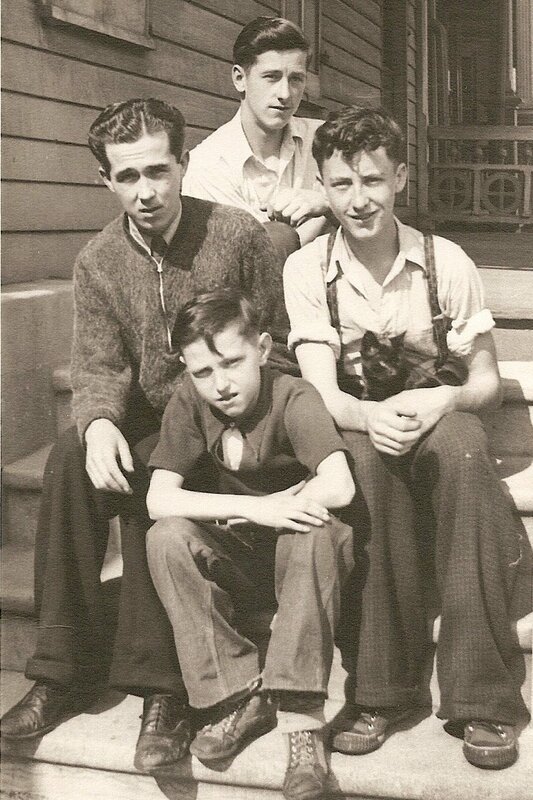 4 of my mother's brothers in 1936. After that, Jane would not go upstairs by herself. Who knew what terror lay in wait. The corpse from the attic? The ghost of Mr. Brown? A sibling playing a prank on her? But the bathroom was at the top of the stairs, and one day she came home from school and ran up in desperation. When she dashed back down the stairs, she found to her horror that the stairway door was locked! She started pounding and yelling for help! Finally the door opened, and there was her Dad. He said nobody else was at home; the latch must have fallen down by itself. But Jane experimented with it and could not see how it could have happened by accident. After that, Jane had trouble sleeping and often suffered nightmares. There was no heat upstairs, and some nights Phyllis and Jane got in bed with their mother who piled heavy haps on them. Jane felt trapped and claustrophobic under the weight. After six years in the dreaded abode, Mabel bought a much nicer house on South Grand Street, and Jane rejoiced! 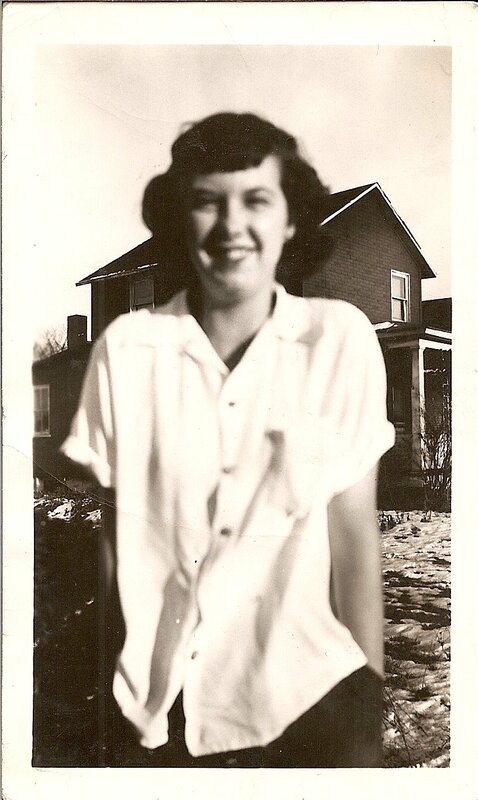 My grandmother, Mabel Parsons Dillman, lived a full life to age 89. She once shot a chicken thief who limped for the rest of his life. She saw five sons off to war, and welcomed home five men who would never be the same. When her husband took ill, Grandma cleaned houses, raised chickens, took in washing, and rented rooms to boarders to support the family. She buried her husband and three children, and told me that you never get over losing a child. She was proud when her oldest granddaughter graduated from medical school. Grandma waited out the '72 flood in the second floor of her house on South Grand Street, flatly refusing all offers of rescue. And she enthralled her grandchildren with spooky tales of her childhood. My Aunt Phyllis Dillman Sheaffer is still full of spitfire and living independently. If I ask her about these stories, I'm sure she will have many corrections to make. You can read my stories about Phyllis in my Posse posts. Nevada Jayne Dillman Wray, my mother, is no longer afraid of closets, but she isn't crazy about elevators. One of the bravest people I know, she does not fear horror movies, strangers, bullies, or things that go bump in the night. Mom has the uncommon ability to tell you there's nothing to be scared of, and you believe her. She is still sparring with Aunt Phyllis, the last two surviving members of the Dillman family.